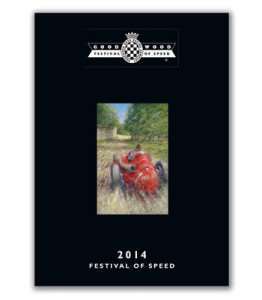 The 2014 edition of Festival of Speed was a star-studded occasion with all the top cars in attendance to wow the sell-out crowd – now you can get the DVD highlights of the weekend. Recently crowned world champion Lewis Hamilton may have taken many of the headlines with his appearance, but there were also so many incredible cars and bikes on display from all the most important manufacturers for everyone to enjoy. If you were there, you know that the weekend was jam-packed with everything a motor sport enthusiast could want; if you weren’t there, then check out the highlights and prepare to be inspired to come in 2015. Click here to secure your copy of the DVD now, while stocks last.